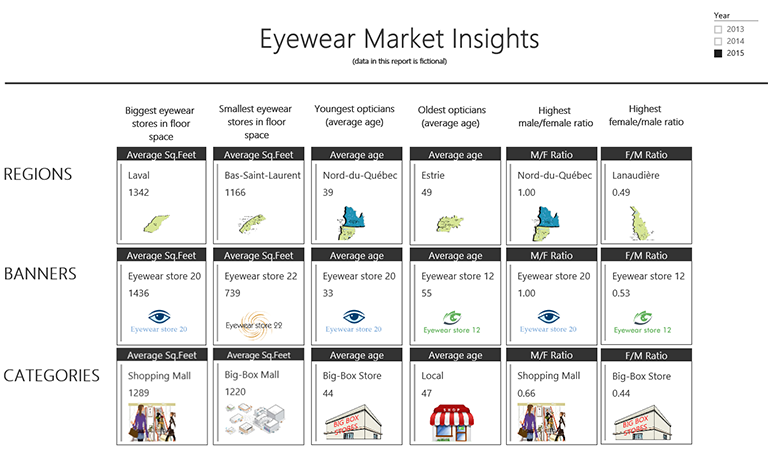 This report presents the Quebec Eyewear Market in 5 sections: Eyewear Stores by Banner, Eyewear Stores by Region, Overview of Eyewear Market, Eyewear Market Insights, Eyewear Market Analysis. For confidentiality purpose, data is fictional. 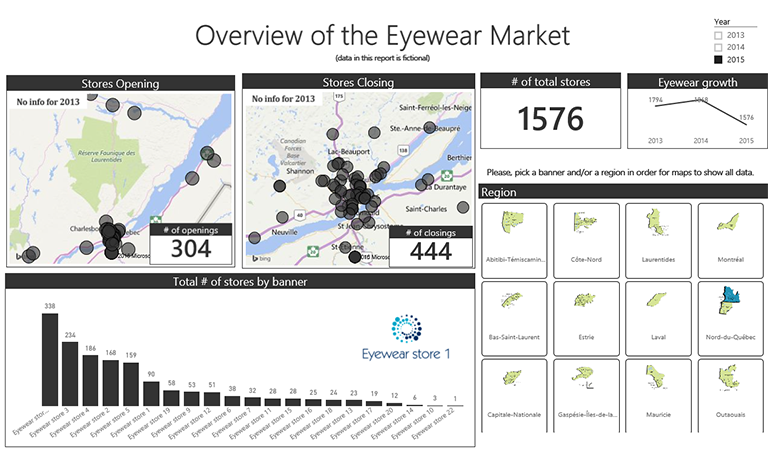 The solution consists of the analysis of the eyewear store retail business in the Province of Quebec, Canada. 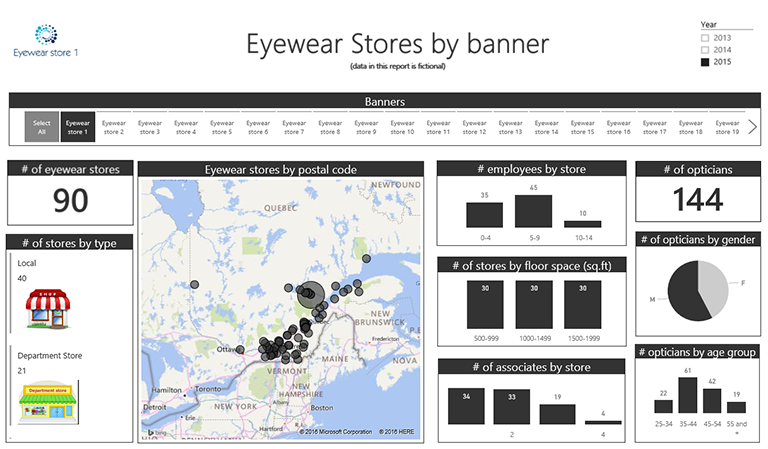 The analysis includes the number of stores per type of location (local, in shopping malls, …), per banner and per region in the Province of Quebec. The data encompasses the calendar years 2013 to 2015. The solution also shows the floor space par eyewear retail location as well as the number of staff per location. Staff comprises opticians, associates and total employees. Some views also show the staff per gender (men versus women) as well by age groups. Furthermore, the analysis illustrates the number of eyewear retail locations that were closed and new ones that were opened over the year 2014 and 2015. This information can be viewed on a per banner basis or on a per region basis. A great deal of efforts has also been put into showing the most extreme results such as the banner with the youngest (or the oldest) opticians, the region with the smallest locations (defined as floor space in square feet) or the locations with the highest ratio women versus men. These are very interesting views to better appreciate regional disparities. Finally, the eyewear market is compared to the served population in order to which banners are the best in serving the population of a given region (or serving the total population) or to the best served regions.